9 Best Pumpkin Patches in Arizona! With October right around the corner and the spooky feelings of Halloween in the air, it's about time you find the perfect pumpkin. 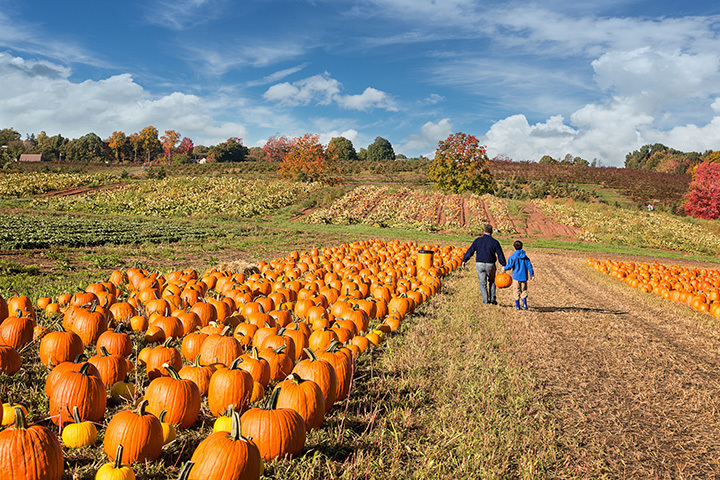 Pumpkin patches have been an indispensable part of the fall season, so come explore the best pumpkin patches the state of Arizona has to offer. Here are a few of the best. Located in Willcox, Apple Annie's Orchard is a farm that has a corn maze and pumpkin patches in abundance! This autumn, visit Annie's Orchard with your family and pick out a beautiful pumpkin for Halloween. True to the spirit of Halloween, the Tolmachoff Farm in Glendale offers eerie pumpkin patches, haunted mazes, and rides! Aptly located over a cemetery, the haunted maze costs $20 per person. The Buckelew Farm in Tucson is perfect for people who are looking for a U-pick experience. This fantastic farm is open in the last three weeks of October and charges just $10 per person as admission fees. Worry not that you won't find the perfect pumpkin this October, Mother Nature's Farm is stocked with fresh pumpkins almost daily! Other than that, the OZ pumpkins, hayrides, and adventure mazes only add to the fun. The entrance fee is just $10 per person. This place offers an extensive variety of pumpkins, ranging from tiny dainty ones to huge pumpkins perfect for carving faces on Halloween. Open for the entire month of October, except on Tuesdays, MacDonald's Ranch charges $10 per person on weekdays and $12 on weekends. The farm also features loads of fun activities such as a hay maze, animal farm, and games. The Marana Pumpkin Patch will be open this year from Oct. 6-30 and admission charges range from $11 to $13 per person. Explore the corn maze, animal farm, and tractor train ride in the farm along with the pumping patches and enjoy the beautiful fall! Known for their famous chili parties, the Schnepf Farms are perfect for a day out in the autumn! The organic gardens provide top quality fresh pumpkins a just $20 per person. Located at Queen Creek, the place also has a restaurant, Diner Down, on its campus. The Mortimer Farm would feature an annual Pumpkin Fest every October! Families from all over Arizona visit the farm in Dewey at just $15-$16 per person for u-picking pumpkins. Vertuccio Farms' Fall Festival and Corn Maze offers a memorable experience of the country life in the comforts of the city. A few of the farm's wonderful features include a seven-acre corn maze, a zip line, farm animals, and of course, a glorious pumpkin patch! Be sure to grab some freshly-popped kettle corn, too.